The story of Adah is a little bit like that of Electa; there was an unnamed woman in the Bible, whom Rob Morris, the creator of the Order of the Eastern Star, simply gave a name to, and made a star point. Adah has a bit more story behind her than that of Electa however. Adah is the name given to the daughter of a man called Jephthah, who is talked about in the Old Testament book of Judges (more specifically, Judges chapters 11 & 12, you can read the original here). Jephthah had a bit of a shaded past, his mother was a prostitute, and his father could have been any number of men. Because of this, he was driven out of his hometown, and basically became an outlaw, all because of his heritage. The lady Adah. Or, at the very least, Jephthah’s daughter. He became known as a bit of a fighter in the area. There were a number of skirmishes and wars going about at this time, and soon enough, Jephthah and his people found themselves being attacked by a people known as the Ammonities. Everyone in the area asked Jephthah to lead them into battle, and he agreed. He also agreed, that if he was victorious in this fight, he was willing to lead the people from there on out. Just before battle our friend Jephthah made a bit of a boo-boo. He made a bargain with G-d, that if he was victorious in the battle, he would sacrifice whatever was the first thing to come out of his house when he returned. Jephthah is victorious, and everyone is quite happy with the result. The celebration is short lived however, because the first thing that comes out of his house upon his return, is his daughter, called Adah (in OES). 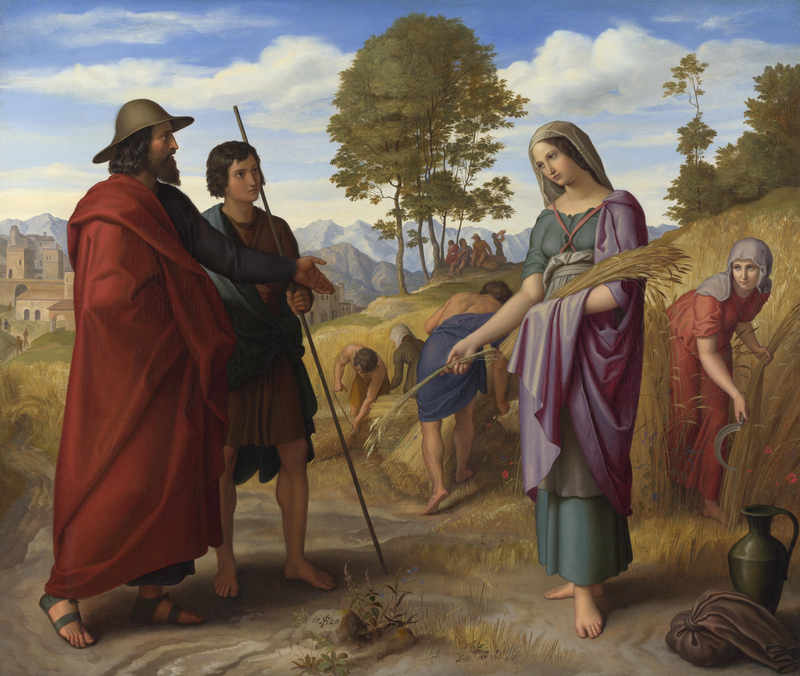 Jephthah really doesn’t want to go through with this sacrifice anymore, but after explaining the situation to his daughter, she agrees that the vow must not be broken. It is said that she asked for it to be delayed by two months, so that she could spend some time with the other women of the village, and “mourn her virginity”. After that time, Jephthah did as he vowed. Part of me really wonders if anyone read the stories of the women that were picked to be the star points. As you can imagine, this story carries a lot of controversy with it. The story is incredibly similar to that of Isaac, except in Adah’s case, her father actually goes through with her murder. Some versions say that she simply was banished to the mountains, or that she was to remain a virgin forever, but the majority of the versions agree that the sacrifice was made. So, what does that mean for people in OES? What does this story of sacrifice teach us? As far as the story given during an initiation, Adah teaches us fidelity, loyalty, and intelligence. The first two I can heartily agree with. I am not so certain that if my father told me he had vowed something similar, that I would have gone through with it. Another big thing Adah focuses on is innocence. Adah was a virgin, yes, but she was also probably a fairly young girl as well, since she was not yet wed. Both Adah and Jephthah were willing to fulfill their obligations, even if doing so meant death for one, and a great loss for the other. I think that this is the biggest lesson in this story. So often we say we are going to do something, and don’t. Its so easy to sign up to help out at an event, and instead of going, stay home and watch TV. I think that those of us in the Masonic communities are at risk for this kind of behavior, not because we are bad people, but because there tends to be so many things to sign up for, so many events that need help, committees that need chairs, and parts that need to be done. It can be easy to get bogged down. Never forget that its okay to say no. No one will fault you for it, many older Masons are aware that burnout can happen very quickly. Simply do what you can, and when it is time to fill your obligation, don’t drag your feet, go willingly, like Adah and Jephthah, even if it does feel like its going to end in your death. I will leave you with this short poem I found about Adah. There are a number of them out there about each star point. Perhaps at one point I will collect them all together. Keeping her father’s awful vow. Far from Adah’s lonely hills. Are examples naught can mar. To the first point of our Star. Before I begin, let me say, Happy Mother’s Day! I am so grateful for all of the wonderful mothers in my life, they do so much for all of us. And works His gracious will. Where does Electa come from? The truth is, Electa does not come from the Bible in the way that the four other heroines of OES do. Electa is the only one that is never named, the name was created for her solely for the purpose of the ritual. I think this is fudging a bit, perhaps there may of been a different heroine that could have been worked into the star points, but, Electa does fit in her own way, so perhaps her name is not as important as we may think it to be. The name Electa was chosen, because 2 John was addressed to “the elder to the elect lady and her children..” Some translators have actually attached the name Kyria to her. Here again, there may of been some liberties taken. OES references her story being in 2 John, but there’s not much there. 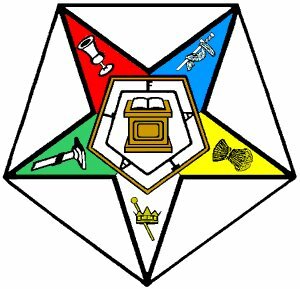 Instead, her story is based in Masonic tradition. The story goes, that she was born and raised in Asia Minor, and brought up as a pagan. 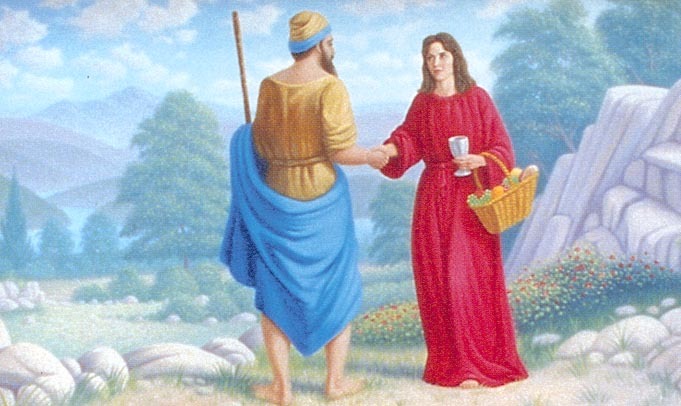 At some point, she converted to Christianity, probably during the era of St. Paul. Regardless of when and where and how, she would of definitely been a very important and influential woman within her community, this is obvious by her title. She was known for her kindness towards the less fortunate, giving money to the poor, and caring for and sheltering those in need, and filling the bellies of hungry travelers. As most all of us know, during St.John’s time, Christianity became a nuisance to those who did not follow it, and an edict was put out by the Roman government that was issued against anyone who proclaimed to be a Christian, under penalty of death. The “test” given to people, was that they were given a crucifix and were told to stomp on it, as a showing of a renouncing of any lingering Christian faith. Electa, for she wouldn’t be the heroine of the story otherwise, refused to comply with the edict, and refused to renounce her faith. Instead of killing her outright, perhaps because she was so well known and loved within the community, the Romans chose instead to throw her and her family into the dungeon for a year. After this time she was brought out, and again offered to renounce her faith. Electa again refused to do so. The Romans didn’t like this so much of course, so they followed through on their threat and killed her. More than that however, they crucified her entire family in front of her, before allowing her to die. You can read a short analysis of 2 John here. What does she teach us? More than that though, Electa taught us the simplest lesson that is too often overlooked, “That we love one another.” While this may not seem as emphasized in her story, Electa is called the mother with good reason. She had wealth, and perhaps a position of power, regardless, she was living comfortably. Even still, she brought in anyone who needed assistance, regardless of their social or financial status, and did not worry about how it may change the way that others may see her. This, is truly why she is called the mother, for like our own mothers, she teaches us to love unconditionally. Unfortunately, this is perhaps the most difficult lesson of all.